It’s a fact that online shopping has become a habit to most of the people in this world, no matter the age. It would be logical to conclude that usually younger people, more precisely people who belong to the Internet generation, tend to buy online, but that is not quite true. Older people too decide to start shopping online, as it is much more convenient for them to get everything they need from their cozy homes. However, the question remains, what is the best credit card to use for online shopping, in terms of various benefits and security reasons? This article will try to answer that question, bringing the list of some of the best credit cards to use for these purposes. Staying safe when shopping online is of a huge importance, and the first step to protecting yourself from various internet scams is to choose a secure payment option. Additionally, it is quite important not to save your data on various online shopping sites, and not to create some easy passwords. All in all, buying from secure online stores and choosing only verified sellers is also a must, so make sure to remember that. But, step by step – let us introduce you to some of the best credit cards for online shopping. Not having the annual fee, but having 1% cash back on pretty much everything else is enough of the reason to recommend this card as one of the best credit cards for online shopping. This card offers a great cash back bonus, being 1% on purchases and an additional 1% when you make a minimum payment. It also comes with no annual fees to pay. 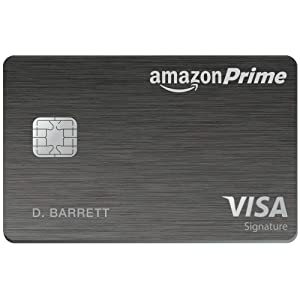 Well, as the Amazon itself is a symbol for online shopping, the Amazon Prime Card definitely must be mentioned. The card itself does not have the annual fee, but you need the Prime membership to get full benefits. This card offers the incredible 5% cash back at Target and Target.com, and when you shop with it, it will offer you free shipping on most items on Target’s website. It also offers some in-store discounts, and there is no annual fee. Almost all the online stores offer the possibility to receive payments via PayPal, so this card is definitely something to take into consideration. There’s also no annual fee, and it offers many benefits. This card offers unlimited 1.5% cash rewards on every purchase, making it an ideal card for online shopping. You don’t need to bother with annual fees, as there are none, so you should definitely check it out. 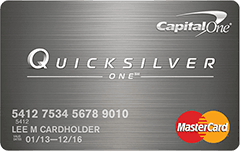 The QuicksilverOne is definitely a card to have, as it offers many benefits for both online and in-store shopping. It has a small annual fee, which is definitely not much, and it offers 1.5% cash back on every purchase. With its great American Express customer service, this card is also something to take into consideration and it also offers cash back rewards and no annual fee. Make sure to check it out and decide for yourself!